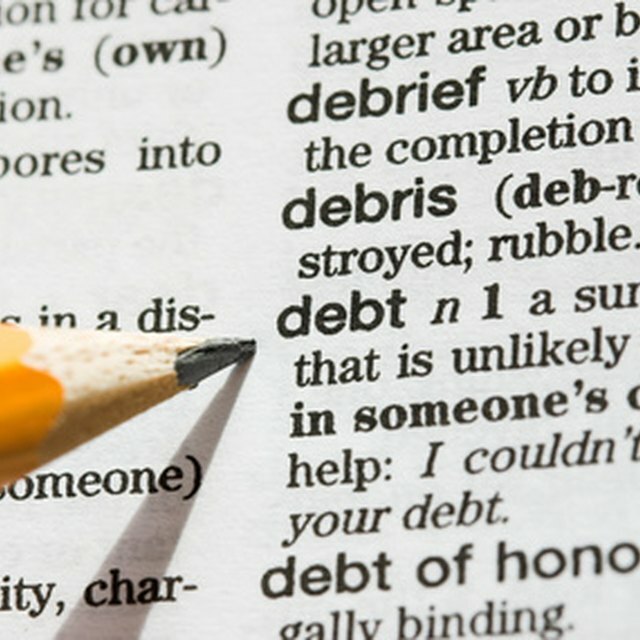 You can take responsibility for someone else's debt in a variety of ways, depending on the type of debt involved. In most cases, it's as simple as contacting the creditor, giving your personal information, and agreeing to become a guarantor for the debt. Keep in mind when you do this, however, that there are many potential downsides to being responsible for someone else's debt. Although you may be helping the debtor, if there is a change in your financial situation, his or her debt may become a burden. Taking on someone else's debt is a big commitment. If you are co-signing a loan, you need to be prepared to make the payments if the other person fails to do so. If you are taking over payments on a loan, you need to be sure you can make the payments for the duration of the payment period to avoid negative reports on your credit. Determine if you're taking on a new debt or an old one. In some cases, you may want to co-sign for a new loan or credit card. To do so, you simply provide your personal information to the lender, wait for them to approve you and sign the same loan document as the other co-signer. Contact the creditor if the debt you want to become responsible for is an old one. Tell them you would like to be added to the account as a guarantor. You will need to provide the information for the account and the current account holder, as well as your personal information. In some cases, you will need to wait for credit approval as well. Contact the collection agency if the debt you want to assume has gone into collection. In this case, you will likely not have the ability to add yourself to the account; rather, you will need to make payment arrangements with the creditor directly. Consider transferring the debt to your credit card if you have one with a sufficient balance. This moves the debt off the original debtor's account entirely, and you can pay the debt in whatever way you prefer. If you are moving debt from another person's account to your own credit card, you may choose to move only a portion of the debt, minimizing your responsibility. If you are moving debt from another person's account to your own credit card, you may choose to move only a portion of the debt, minimizing your responsibility. Beat My Debt: Can I Be Responsible for Someone Else's Debt? CreditCards.com: Should You Transfer Someone Else's Balance to Your Credit Card?